Samsung’s blockbuster sales of Galaxy devices may invite comparisons to Apple, but the similarities between the two companies end there. That is, until the Korean electronics behemoth revised its policy on third-party accessories. Taking a page from Apple’s playbook, only accessories certified by Samsung – i.e., those made by companies willing to license Samsung’s identification chip – will be compatible with devices going forward, starting with the Galaxy Note 3. Some Note users who updated to Android 4.4 KitKat found that out the hard way when the S-View function their third-party cases stopped working. There is a way around the restriction, but it requires root access. A few handy developers have come up with a few Xposed Framwork mod tweaks that allow “unofficial” accessories to function as they did before the update. Methods like these always carry a certain amount of risk, though, so should you wish to try it, precede with caution. While Samsung’s new policy is certain to increase the company’s revenue, I can’t help but feel it will alienate the large contingent of users who’ve invested in unapproved accessories. As the new policy is likely to stay, I can only hope the company does a better job informing customers of such big changes in the future. 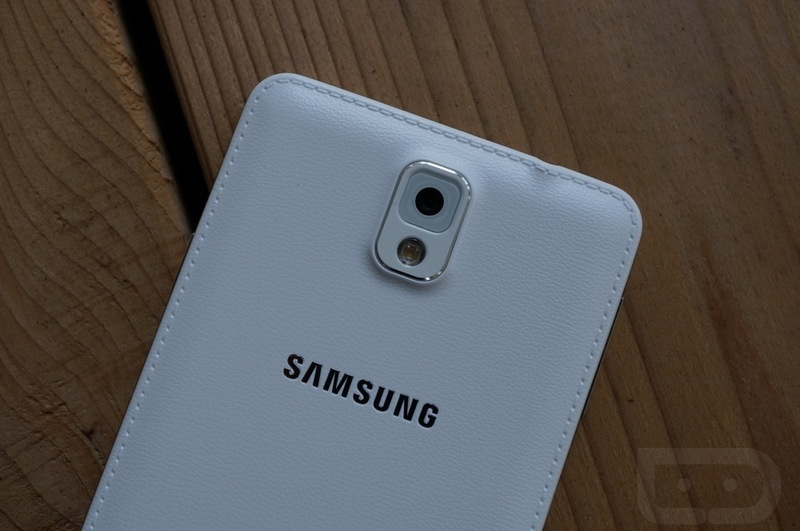 Update: To be clear, the Galaxy Note 3 update only affects S-View cases like those sold by Spigen. However, that’s not to say Samsung won’t block more accessories in the future. Update 2: Both Samsung and accessory maker Spigen have commented on the issue. Attached are their respective responses. To ensure a pleasant and smooth user experience with Samsung products for our customers, we recommend that only original accessories from Samsung be used. Of course, customers can continue to rely on third-party accessories. The full functionality of our devices and accessories, however, can only be ensured with genuine Samsung components, since only in this way it is ensured that equipment and accessories are perfectly matched. A correlation between the Android version 4.4 and the supposed incompatibility of third-party accessories does not exist. In regards to Android KitKat, Spigen will continue to support Galaxy devices and their smart functions. We’re currently looking into the issue and will have a more detailed plan of action by next week.